I only started gardening about three years ago. At first I knew next-to-nothing, but a bit of enthusiasm, learning and a lot of hard work go a long way. 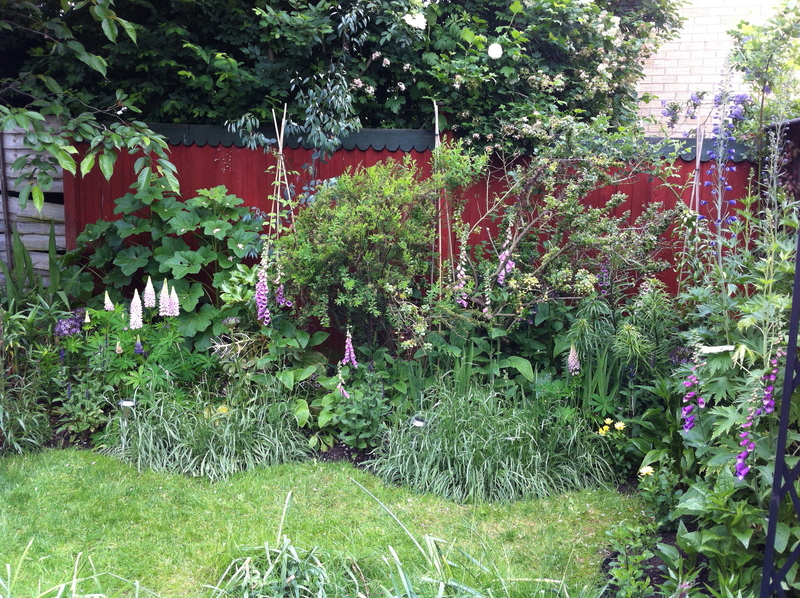 The first picture shows one of the main borders after I had already made a head start on clearing and reclaiming it from the grass and weeds. Many undesirable scrubby plants came out, many bags of compost went in and gradually it began to look like a border ready for planting. That was mid-2010. Fast-forward to today – just two years later – and the only way you can recognise that it’s the same border is from the red painted fence. It is quite stunning to see the difference a few years can make. The whole border is completely transformed and is now looking full and verdant. It has also been extended several times as I have added more and more plants. It is the same story for all the other borders in the garden. They have all gone through a similar change. In gardening terms, two years is very new and the borders could change just as dramatically again. There are some areas that are still bare and need planting up, some areas that I am happy with and other areas where I want to change and replant. As my gardening knowledge, skill and experience grow, I hope the borders will continue to improve and in a few years time, this “after” picture will become the new “before”.